Home Company Car Ridesharing Transport’s future is integrated. But how do we get there? Transport’s future is integrated. But how do we get there? Imagine you’re running late getting to an important meeting across town. It’s rush hour and a section of road has collapsed, wreaking havoc across the city. What are your options? In most transport systems, there wouldn’t be many – and getting the information you need to make the right decision would be hard to come by. The truth is that today’s transport systems are under enormous strain. Rail and highway infrastructure in many areas is ageing. Populations are growing fast in places with some of the biggest transport challenges. And the explosion in online shopping is putting pressure on traditional delivery channels. In the face of these challenges, new transport approaches – from ridesharing to drone delivery – have sprung up. But isolated solutions like these won’t integrate the kind of information a commuter or other transport user will need to make informed decisions. There has to be a coordinated public and private response to today’s mobility challenges, and the will to create a transport system for the future that is truly coordinated – that is, a Seamless, Integrated Mobility system, or a SIMSystem. In such a system, people and goods would move more efficiently because physical and digital assets would be interoperable, and the friction caused by non-integrated components would be eliminated. 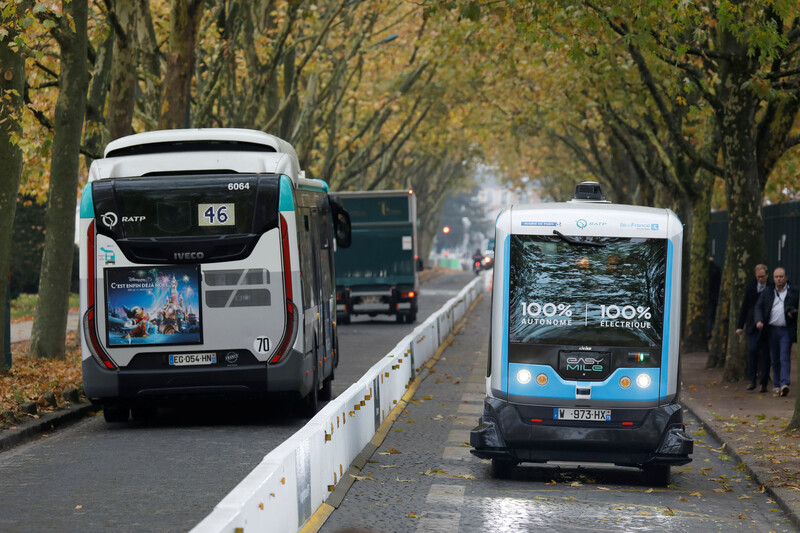 As part of the Shaping the Future of Mobility Initiative, the World Economic Forum has embarked on a project to better understand the need for and characteristics of such a system. Working with a range of key shapers of the mobility ecosystem – from established technology enterprises to startups to government officials – the initiative seeks to visualize a SIMSystem and its opportunities, identify the challenges and requirements, and provide guiding principles for real action. Without concerted action now, an integrated mobility system will either fail to emerge, fail to emerge quickly enough to address the world’s looming mobility challenges, or emerge in a way that fails to meet the needs of governments, the private sector and users. 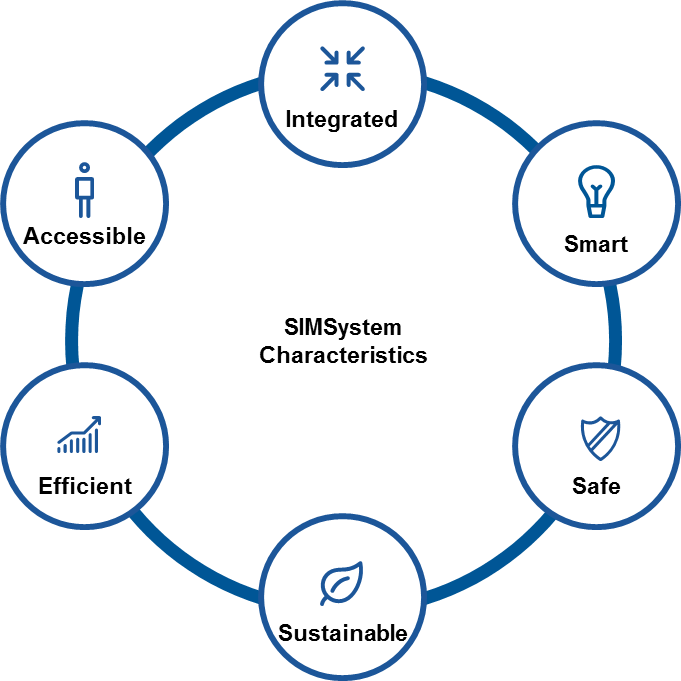 The first step in a journey of this magnitude is to motivate stakeholders with a vision for how a SIMSystem would benefit society. Enhanced mobility drives inclusive growth through increased access to healthcare, education and economic opportunity – not just for wealthy and healthy citizens, but also for elderly, blind and disadvantaged citizens. In a SIMSystem, governments, transport providers and users harness technology to seamlessly connect and exchange real-time information across the entire spectrum of transport modes – bus, shipping, rideshare, autonomous pod, bikeshare, air travel, rail, etc. Businesses make money. Cities reduce congestion. Citizens enjoy a higher quality of life. Fourth Industrial Revolution technology is one of the key factors making a new mobility ecosystem possible. The internet of things, smart sensors and machine learning enable disparate transportation systems to interact, predict and respond in various scenarios – from something as routine as planning a family holiday to reacting to a contagious disease outbreak. With technology, multi-layer interoperability among players, modes and geographies can yield a more convenient, affordable, clean, safe and accessible transportation network. Any ambitious vision of transport must also consider rapid advancements in autonomous and driverless vehicles and drones. While these transport modes are still nascent, leaving them out of a potential model of a SIMSystem would be negligent and hardly aspirational. Whatever form it takes, the implementation of a SIMSystem will require public-private collaboration. In our view of integrated mobility, these partnerships would set up protocols to address potential challenges, such as funding mechanisms and data-sharing. And with the evolution of a SIMSystem likely to be different across geographies, key stakeholders will be able to capitalize on models that are adaptable, customizable and scalable to their own particular needs. These principles are part of what is ultimately a call to action to all entities impacted by mobility – a manifesto, if you will. And there are few entities that will not be impacted, as mobility underpins nearly every facet of modern life. A wait-and-see approach will only make it harder, if not impossible, down the road to corral the one-off transport solutions that continue to spring up. Seamless, integrated mobility – it is a daunting task. But if we start now, it is also a thrilling, once-in-a-generation opportunity to get the future of mobility right. • The first deliverable in the Forum’s SIMSystem project – Designing a Seamless Integrated Mobility System (SIMSystem): A Manifesto for Transforming Passenger and Goods Mobility – will launch at Davos 2018, where we will be sharing the concept with public and private organizations from around the world to gain support for multiple pilots as early as next year.